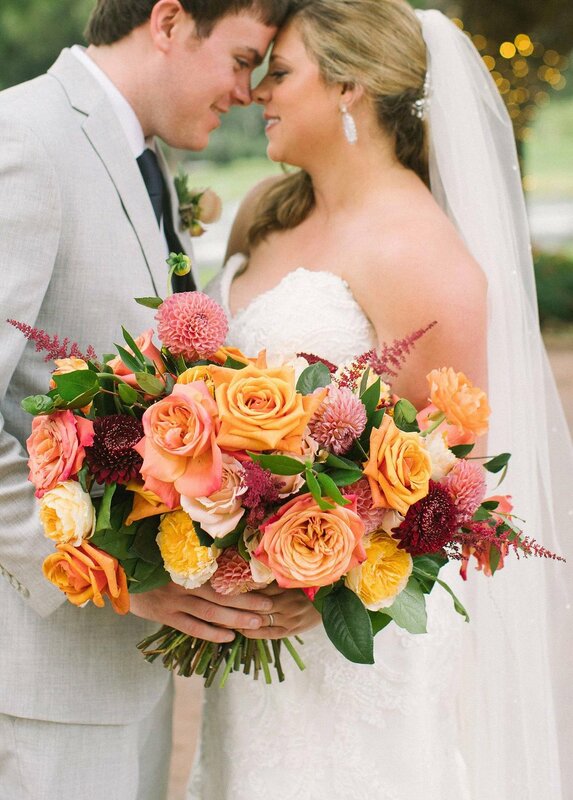 I am so excited to share this colorful fall wedding at the Orchard in Azle TX with ya’ll! I knew Allison back in the day from High School. Although we were in different grades, she was always someone that was so easy to talk to and one of the sweetest souls in the school. It was so great to not only meet Chad but also getting to catch up with her throughout the process! 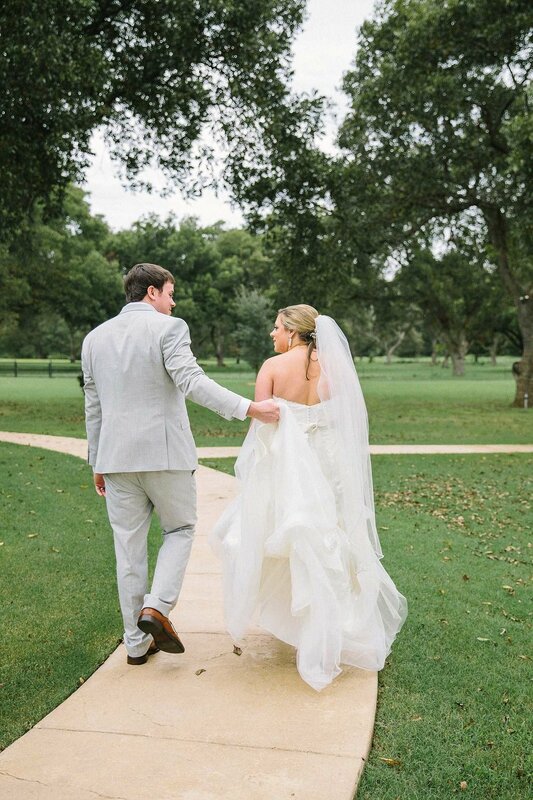 The first thing on our list was to find a venue and set a date, and we quickly realized that The Orchard in Azle would be the perfect venue for their wedding. She loved the retreat aspect of the venue, and ability to do both the ceremony and reception inside & have a separate space for the cocktail hour. 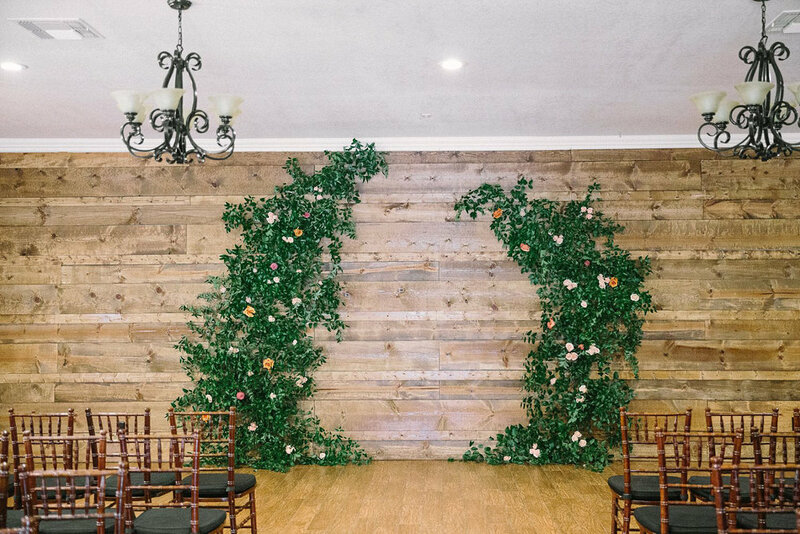 Allison & Chad got married in the interior ceremony room at The Orchard in Azle in front of the large wood wall with a greenery and floral framed the altar. The bridesmaids wore long red bridesmaid dresses and each held florals that were a mix of apricot, burgundy, yellow, and coral flowers. 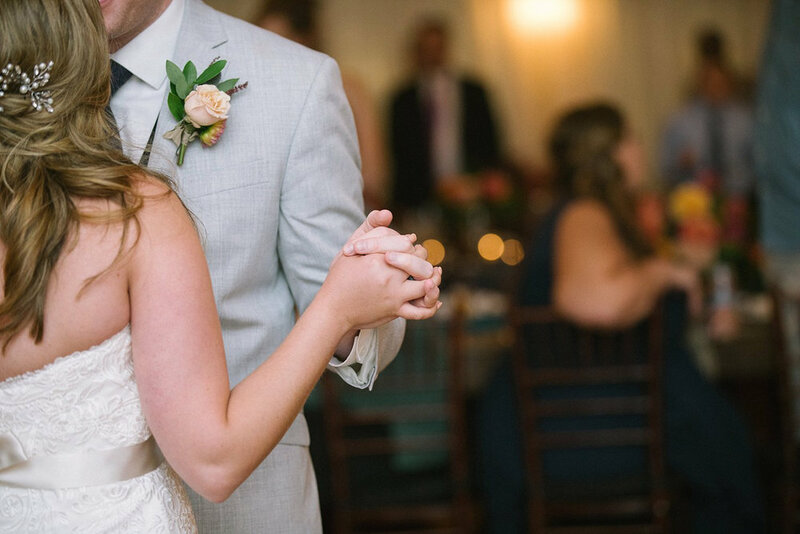 After the ceremony as the couple took pictures, guests enjoyed happy hour in the Orchard Azle’s covered patio. 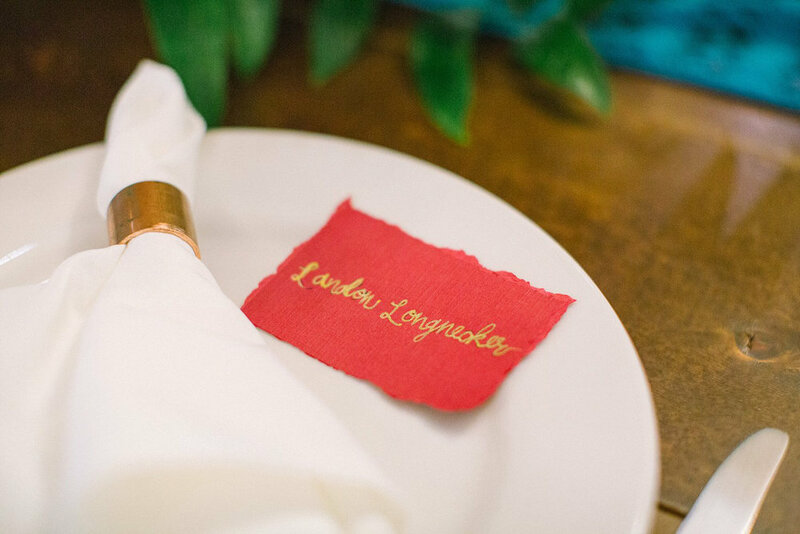 While some guests found their table at a copper seating chart with geometric shapes, other guest enjoyed a game of mini golf, that was a tradition of the bride and groom every time they traveled. As the night went on the guests danced the night away with music from Forerunner Entertainment, and when it was time to do a cake cutting the bride and groom opted white textured wedding cake with peaches slices! Overall this was such a fun and unique wedding, and was so amazing to be apart of it! 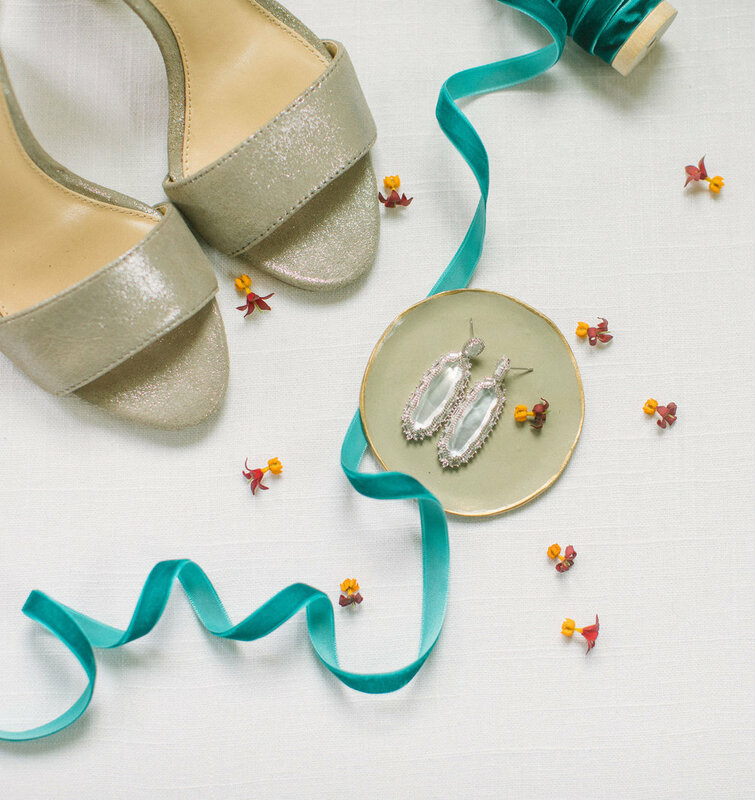 To check out more weddings at the Orchard in Azle TX see them here!